I walk right by this project daily, and there are many workers out there all the time. 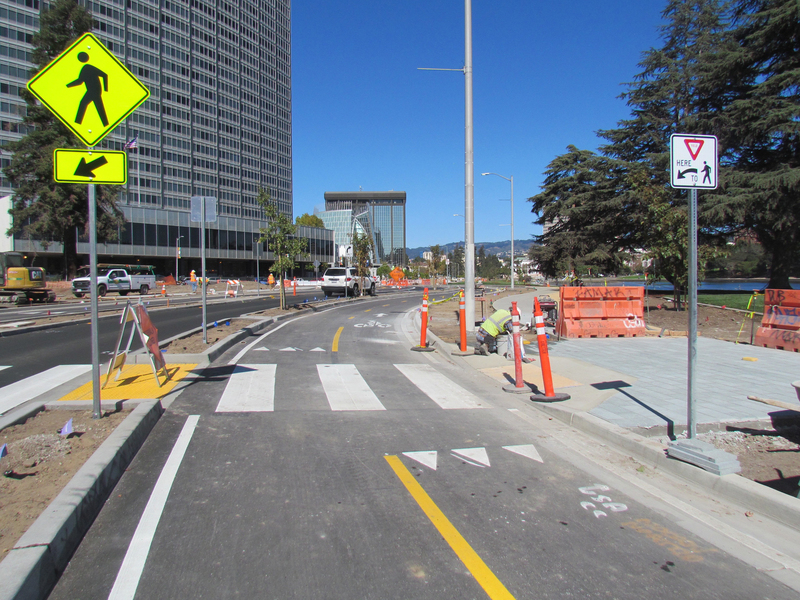 My understanding is that the project did get slowed down after construction initially started because the city had to change-order the construction contract to include these awesome new bike facilities, but they’ve been making great progress lately. I haven’t ridden on it yet – can’t wait! These are fine buy why does this project take so long. As seen in your photos, the most people I ever see working this site at once is 1 guy. This should have been done long ago. Chris Hwang, president of Walk Oakland Bike Oakland, led a tour of Oakland's bike facilities. The group's mission: "We want every person who lives, plays, and works in Oakland to feel safe and comfortable walking and bicycling, and that they know how to make their neighborhood a better place to walk and bike." Urban planners are still trying to undo the damage caused by vehicular cyclists in the 1970s and 80s in terms of bikeway design. 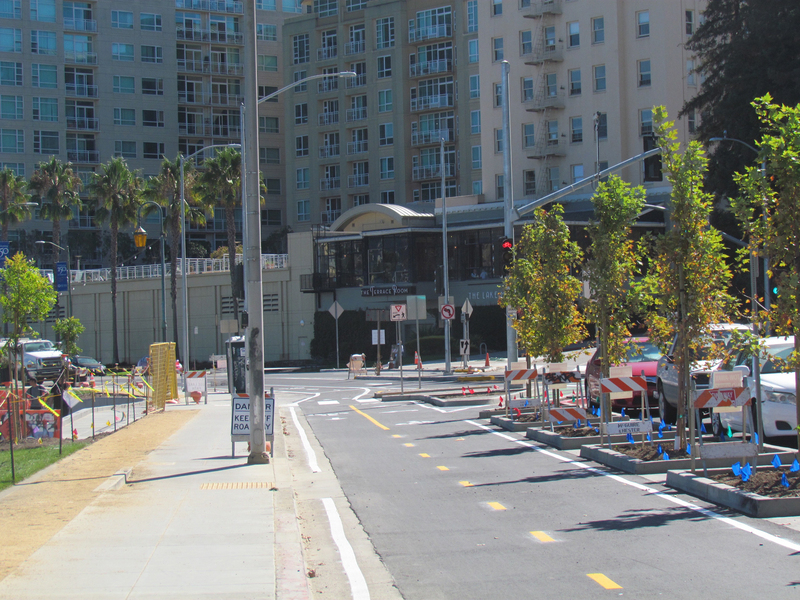 No longer is it enough to design bikeways for strong, experienced bicycle riders. 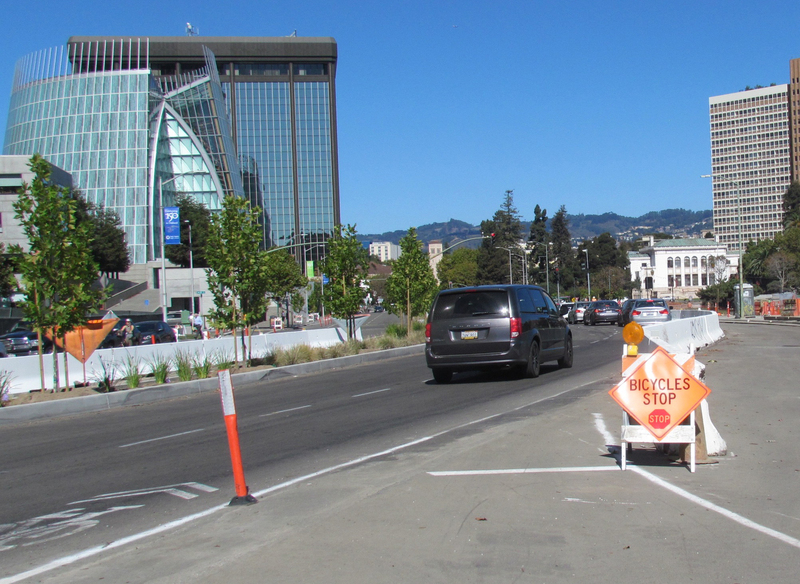 Construction crews tend to see bike lanes as a place to plant detour signs, rather than recognizing them as travel lanes.